What does a sensational scientific discovery about a solar storm in the Earth's magnetic field have to do with old, recycled steel pipes which lay buried for more than a decade under a now-defunct gold mine in India? A team of Indian and Japanese scientists recently published an internationally-feted paper which recorded the events that unfolded after a breach in the Earth's magnetic shield. Using the GRAPES-3 muon (a sub-atomic particle) telescope - the world's largest of its kind - at the Cosmic Ray Laboratory in Ooty, a hill station in the southern state of Tamil Nadu, the scientists recorded a two-hour burst of galactic cosmic rays that invaded the atmosphere on 22 June 2015. Solar storms of such high magnitudes can knock out satellites and aircraft autopilots, cause catastrophic power outages, and take us, according to one of the scientists leading the research, Dr Sunil Gupta, "back to the Stone Age". The world's largest and most sensitive cosmic ray telescope located in Ooty is made up of four-decades old recycled zinc-coated steel pipes. "Necessity is the mother of invention. When you don't have the money to buy new, expensive stuff, you look within the system to find out your own solutions to reduce costs. India's scientists have mastered the art of recycling and coming up with their own inexpensive solutions," Pallava Bagla, India correspondent for Science magazine, told me. A notable example: India's 2014 operation mission to Mars, cost the exchequer 4.5bn rupees ($67m;£54m), almost 10 times less than the American Maven orbiter. (This prompted Prime Minister Narendra Modi to quip that India's real-life Martian adventure cost less than Hollywood film Gravity.) The Ooty laboratory's annual budget is about $375,000. The 6m (19.65 ft) long pipes, which acted as sensors in the telescope, lay in underground caverns below the centuries-old Kolar Gold Fields in southern Karnataka state, home to one of the world's deepest gold mines, for nearly two-decades. The pipes were imported from Japan - where they are normally used at building construction sites - to help a team of Indian and Japanese scientists examine neutrinos, sub-atomic particles produced in high energy interactions in the galaxy and beyond. The scientists had laid them 2km (1.24 miles) below the earth for their experiment. When gold prices fell to unprofitable levels and the fields began shutting down in the early 1990s, authorities planned to remove the pipes and dispose them off as scrap. "We said we want to re-use them for our experiments," Dr Gupta told me. Eventually, some 7,500 of the pipes were transported by truck to a hilly 100-acre campus that the laboratory shares with a radio astronomy centre. The place skirts a forest populated by deer, bison, tigers and wild boars. Recently, CCTV cameras captured a tiger strolling past the sensors at night. Work on recording cosmic rays in Ooty began in right earnest in 1998, when the scientists began making muon sensors from the discarded pipes to research high energy cosmic rays. Today, 3,712 steel tubes, stacked up against layers of concrete, are housed across 560 sq m in four squat brown-and-white colour buildings, home to the world's largest such muon telescope. There are a couple of dozen such telescopes in the world, but none as powerful as the one in Ooty. At the laboratory, a small group of scientists and assorted helpers - local gardeners and carpenters, for example - continue to recycle the old pipes, so that they can be used as cosmic ray detectors. To do this, they open the pipes and clean them with high pressure water jets. They insert a 100 micron - as thick as a strand of human hair - tungsten wire into the pipe and anchor it at both ends with hermetic seals. The pipes are then filled with a gas comprising methane and argon and an electric potential run through it to enable it to become an effective sensor. Finally, they are laid out in rows - below two metres of concrete, which act as absorbers - to become a muon telescope. The fabled jugaad - an Indian colloquial word that means ingenious improvisation in the face of scarce resources - extends to using the pipes as sensors. When the scientists at the laboratory wanted to make doubly sure that the old pipes were not leaking, they modified a helium spray gun by attaching a 7-cent injection syringe needle to the nozzle of the gas jet to help them to carry out the precise leak tests. "Every day, we make 10 such recycled pipes ready for our experiments. The plan was to make very sensitive sensors to detect the weakest of signals. We wanted to measure cosmic rays with higher sensitivity than ever done before", says Atul Jain, a scientist at the facility. The laboratory itself is a shining example of home-grown innovation. The majority of the electronic equipment is designed, assembled and manufactured in-house. The software for the computer programmes is locally made. The 40GB of raw data from cosmic rays that it generates every day is stored and processed by a cluster of computers which has been largely assembled in-house, cutting costs and saving hefty maintenance fees. Old computers are stripped for parts. A locally developed cooling system using fans saves electricity and protects the computers. At the moment, the scientists plan to pore over 17 years of data on cosmic rays recorded by the lab's sensors to find out whether they offer more clues about forecasting space weather and advance warnings about solar flares. They say there have been some 38 severe solar storms in the past 17 years. "We should be able to sift through our data to find out more about them. 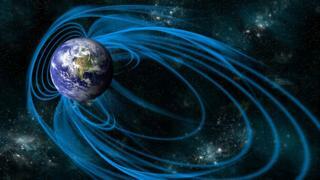 For us, they are a gift from the Sun, because they add to our knowledge on space weather," says Dr Gupta.